As Paleoclimatologist named Jack Hall was in Antartica, he discovers that a huge ice sheet has been sheared off. But what he did not know is that this event would trigger a massive climate shift that would effect the world population. Meanwhile, his son, Sam was with friends in New York to attend an event. There they discover that it has been raining non-stop for the past 3 weeks, and after a series of weather related disasters that occurred over the world. Everybody soon realizes that the world is going to enter a new ice age, as the rest of the world population tries to evacuate to the warm climates of the south. 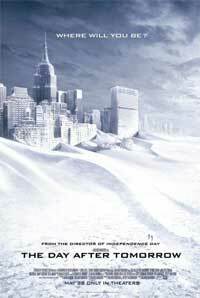 Jack makes a daring attempt to rescue his son and his friends who are stuck in New York, who have to survive not only a massive wave, but freezing cold temperatures that could possibly kill them. The Statue of Liberty is a monument commemorating the centennial of the signing of the United States Declaration of Independence, given to the United States by the people of France to represent the friendship btw the two countries established during the American Revolution. It represents a woman wearing a stola, a radiant crown and sandals, trampling a broken chain, carrying a torch in her raised right hand and a tabula ansata tablet, where the date of the Declaration of Independence JULY IV MDCCLXXVI is inscribed, in her left arm. Standing on Liberty Island in New York Harbor, it welcomes visitors, immigrants, and returning Americans traveling by ship. Frédéric Auguste Bartholdi sculpted the statue and obtained a U.S. patent for its structure. Maurice Koechlin—chief engineer of Gustave Eiffel's engineering company and designer of the Eiffel Tower—engineered the internal structure. Eugène Viollet-le-Duc was responsible for the choice of copper in the statue's construction and adoption of the repoussé technique, where a malleable metal is hammered on the reverse side. The statue is made of a sheathing of pure copper, hung on a framework of steel (originally puddled iron) with the exception of the flame of the torch, which is coated in gold leaf (originally made of copper and later altered to hold glass panes). It stands atop a rectangular stonework pedestal with a foundation in the shape of an irregular eleven-pointed star. 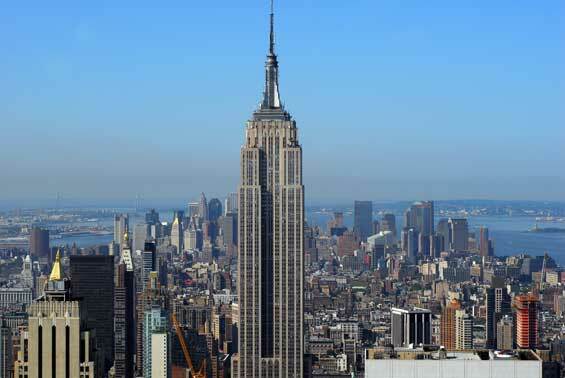 The statue is 151 ft (46 m) tall, but with the pedestal and foundation, it is 305 ft (93 m) tall. 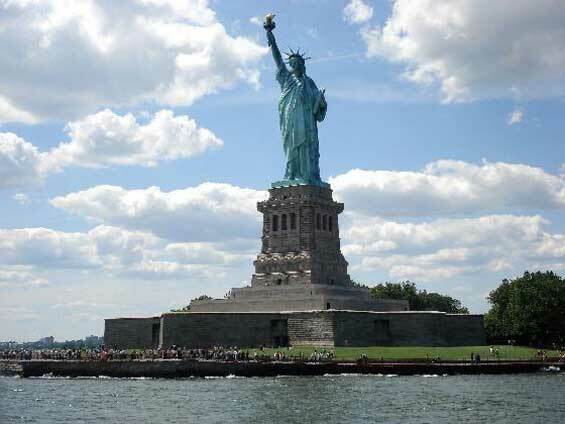 Worldwide, the Statue of Liberty is one of the most recognizable icons of the United States and was, from 1886 until the Jet Age, often one of the first glimpses of the United States for millions of immigrants after ocean voyages from Europe. Battery Park and the Financial District, Manhattan. 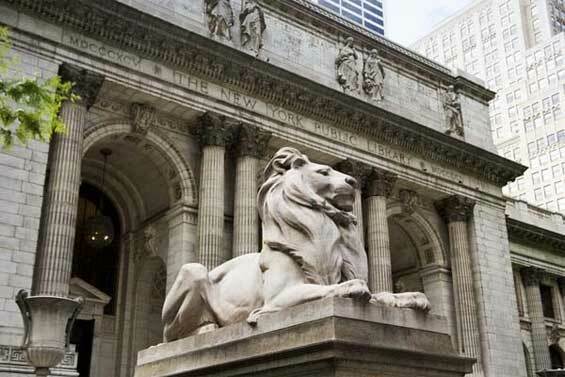 New York Public Library, 5th Avenue and 42nd Street, Manhattan.